In power plants with particularly high demands, reliable high performance valves provide maximum safety. 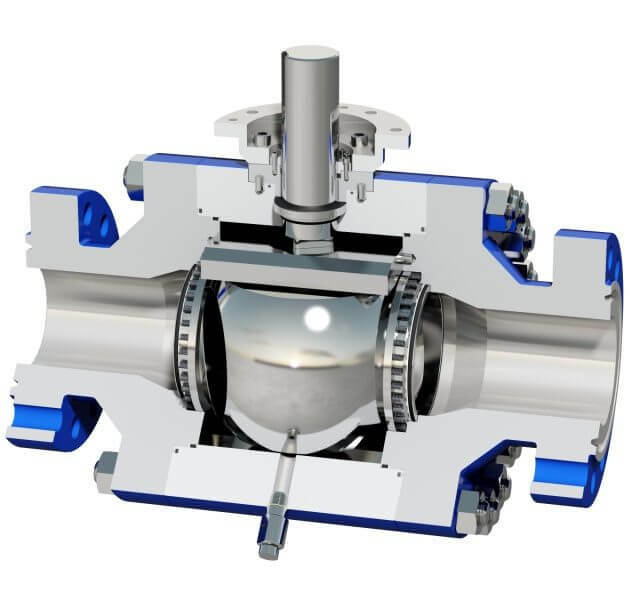 Hartmann ball valves are deployed in many different power plants and thus also under the most varying conditions. Besides the applications listed below for hydropower, steam and gas turbines, ball valves for example are also being developed for the reverse transformation of electrical into chemically bonded energy in the form of hydrogen (see renewable energies). In the area of hydropower, potential energy derived from the height differential is transformed into electrical energy. Because these are open systems the water has a high oxygen and solids fraction which results in considerable corrosive and erosive loads. Due to the metallic sealing system and the careful selection of materials, Hartmann ball valves are ideally matched to these conditions. Steam turbines and the associated steam cycle are found in various types of power plants such as coal, nuclear or combined-cycle (GuD) plants. Steam, water and the intermediate form, saturated steam, place high demands on the material selection and design in terms of temperature and pressure loads. Even under these conditions the metal-to-metal sealing in combination with steam resistant seals has proven itself as a reliable system. With their experience of structural design for nuclear plants including earthquake calculations and the compilation of pre-test paperwork in the documentations department, Hartmann Valves is a reliable partner. With gas turbines, the safe infeed and, where applicable, shut-off is a deciding factor. Hartmann ball valves have proven themselves with their reliability in this area. 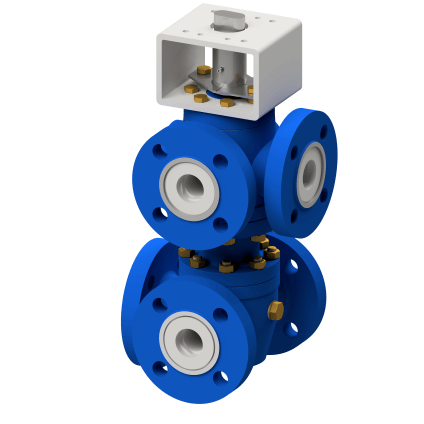 Both standard ball valves and multi-way valves are deployed for operation with air, oil and gas. To increase the efficiency, the development is always towards higher input temperatures. Hartmann Valves is going down this route and offers special high temperature ball valves.